If you love Korean Beauty and Instagram, you would have heard about TouchinSol one way or the other. I came across the brand on the MMCL's Instagram page. I was intrigued by the brand but I had never tried Korean Beauty so did not know where to start. I was very kindly offered an opportunity to try out some products from the brand and I was more than delighted (obviously). 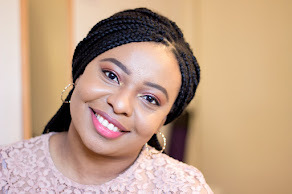 I'd already heard good things about the brand but I wanted to experience it for myself and see how well these products worked for my complexion, taste and skin types. 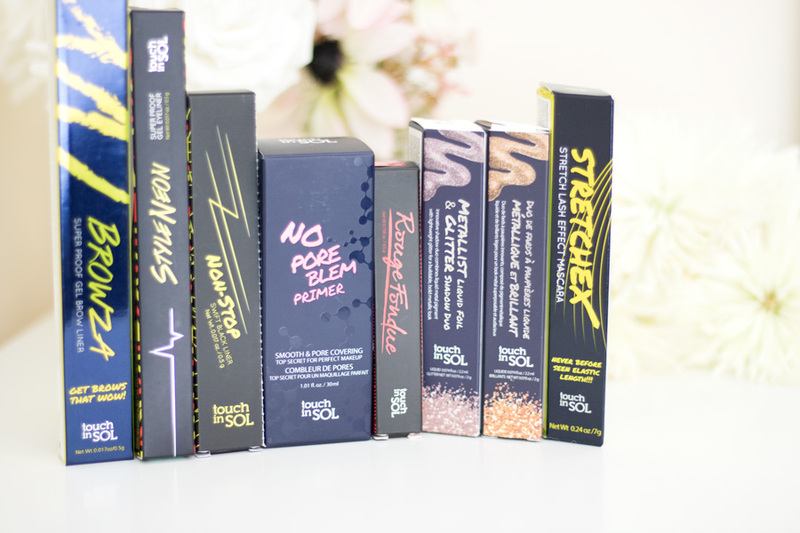 Touch in Sol has a wide offering of makeup products which range from eye makeup, complexion products, lip products, etc. I was sent a generous selection of products. I have been trying them out for a couple of weeks and I feel like I am ready to share my thoughts now. I have to say the packaging and actual products feel way better in real life than in photos. I was very impressed by the quality and how sturdy they felt. I love the effort behind the practicality of the packaging. I loved that they also stuck to a classic black with the occasional burst of neon colours to bring some life to the black packaging. I think it is elegant yet youthful which I feel will make it appealing to different people. 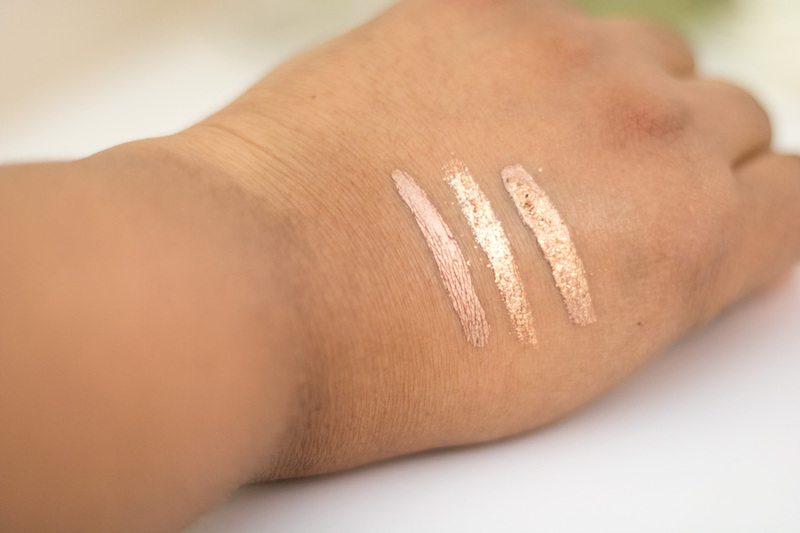 The wands on the Metalist Liquid Foil Eyeshadows are easy to use and there is minimal mess to them. This was the first product that got me absolutely intrigued because I saw it everywhere. I have enlarged pores around my cheeks (which is annoying) but only a few primers help to reduce their appearance. I wanted to know how well this would work on my pores. 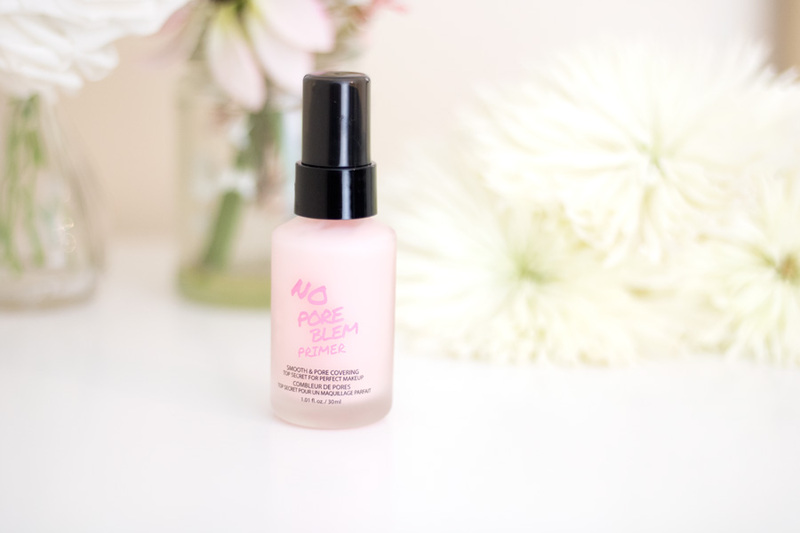 The No Pore Blem Primer contains a unique powder in its formulation that helps control sebum production, blurs pores and providing a smooth canvas for makeup. 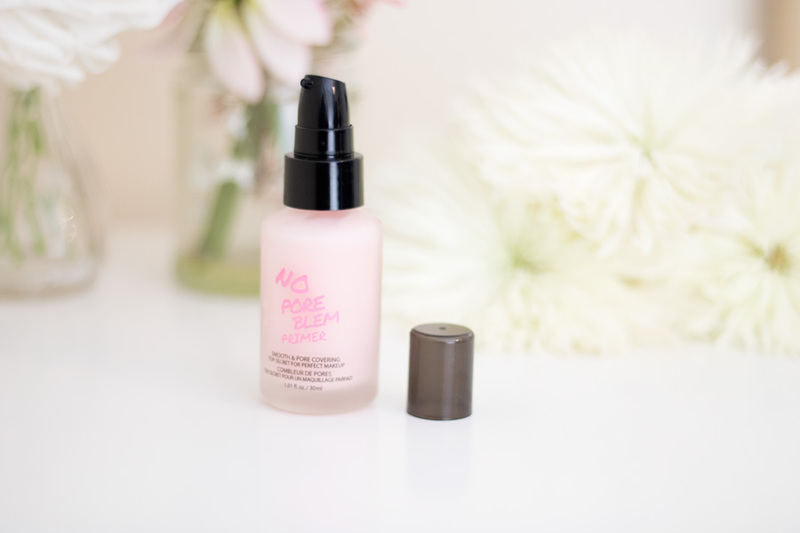 I love the cute pink bottle and I am so pleased it comes with an easy to use pump. It goes on really smoothly and I can definitely see a reduction in the apperance of my pores with it. My foundation applies really well and I love how airbrushed my face looks in person and in photos. I have used it alone and I did find that my T-zones were slightly oily however I think it is designed more to tackle visible pores as opposed to mattifying. 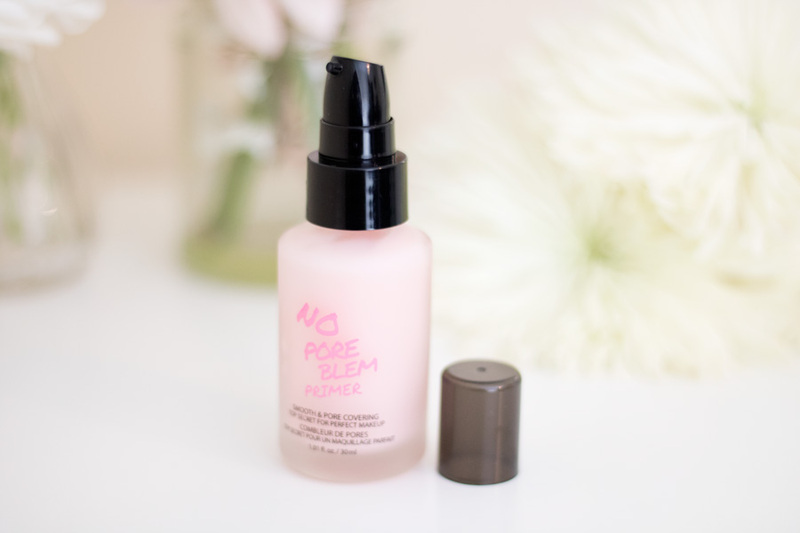 I now use it around areas where I have visible pores and use a mattifying primer underneath and it is an absolute dream. 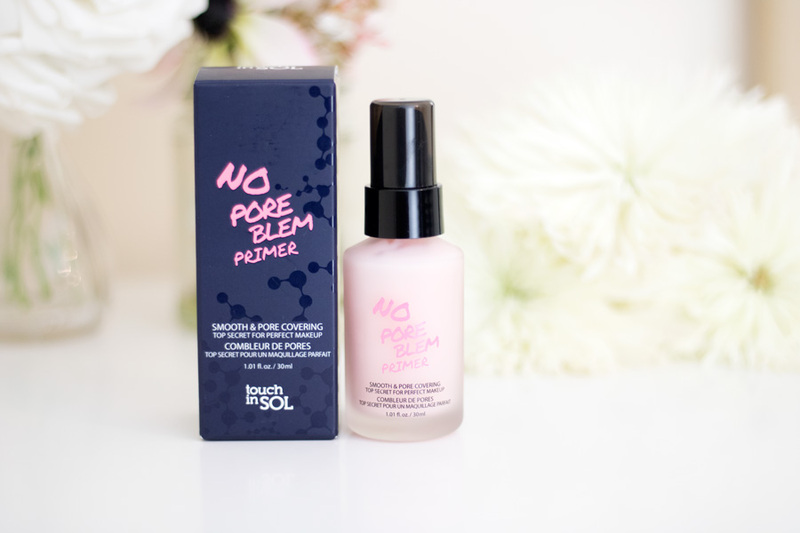 I checked out the Touch in Sol website and I can see they have a mattifying primer so I will be trying that out together with the No Pore Blem Primer to see how well they work as a team. 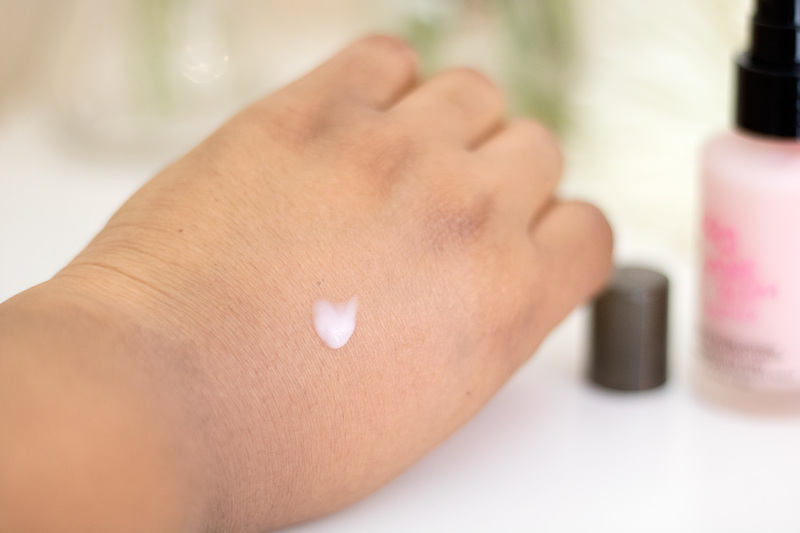 If you have normal or dry skin, you can definitely get away with using it on its own as it will address visible pores and give your complexion a natural look. I switched to using Gel Brow Liners ages ago and I stopped using regular pencils mainly because I don't like sharpening pencils. More importantly, I prefer gel brow liners because they last longer and look more natural. 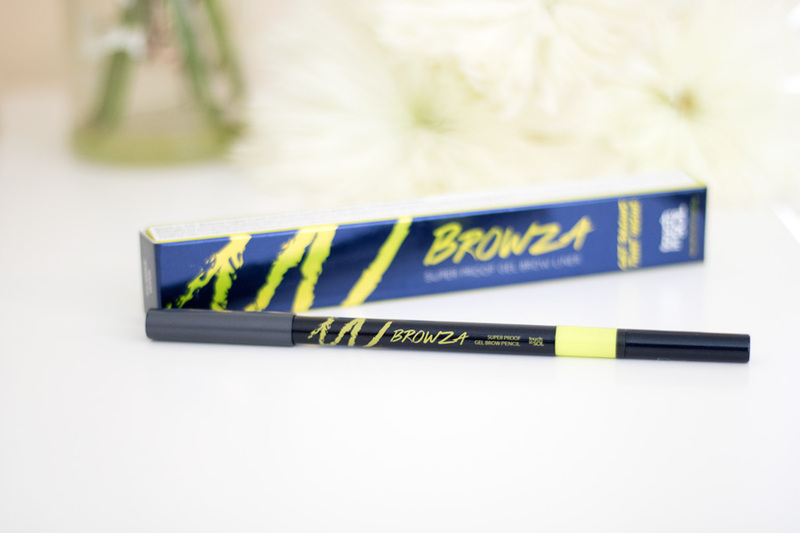 The Browza Gel Brow Liner comes in three shades and I have the shade Mink Wink which is nice dark brown shade which I feel will work well on many darker skin tones. 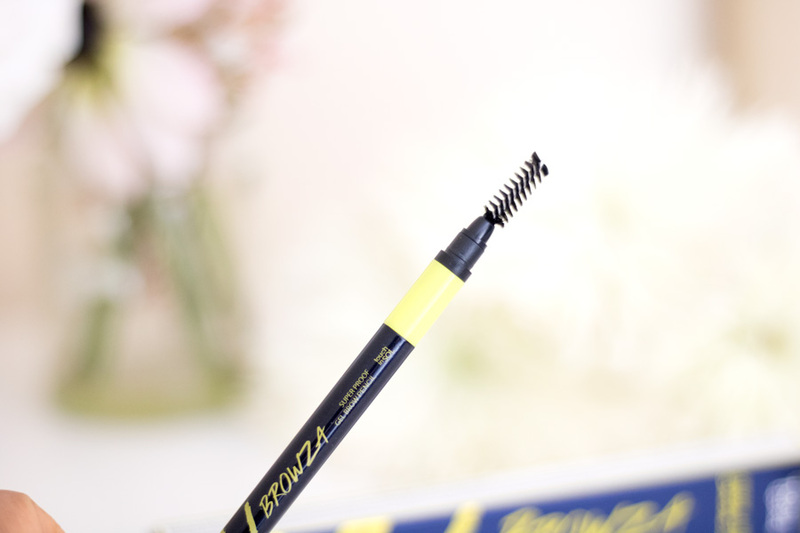 I love the undertone as it is such a great match to my brow hairs. 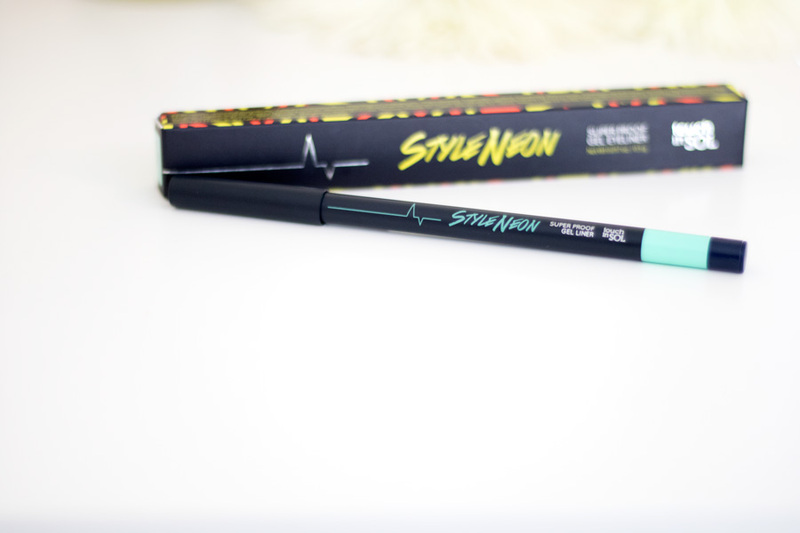 It has two sides- gel brow liner and a spoolie which I am so pleased about. It rolls up and down so there is no need to sharpen it. 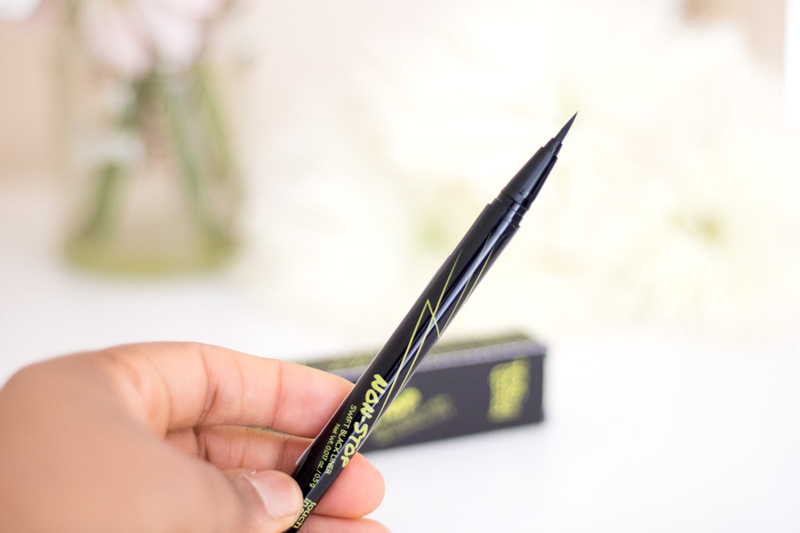 It does not have a pointy tip however the tip is great for outlining and filling in my brows and it looks natural (takes less time too). 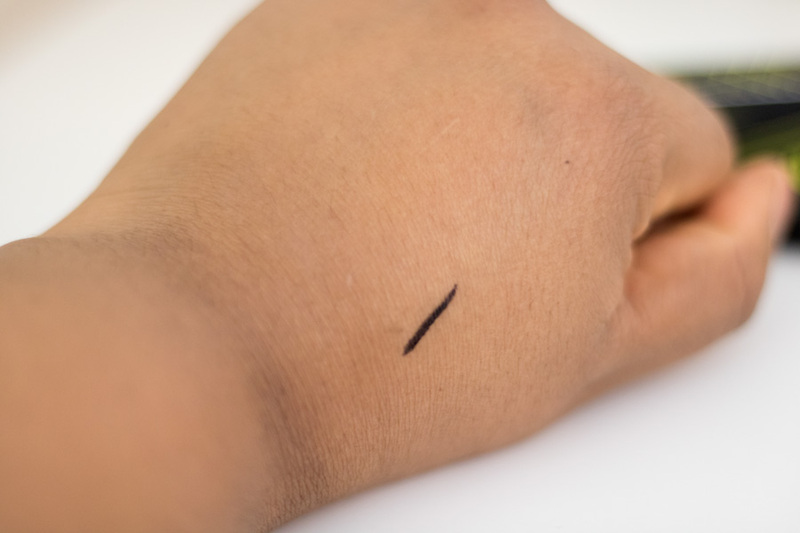 I am used to trying gel brow liners with pointy/fine tips so I was curious to see how well it worked for my usual routine. 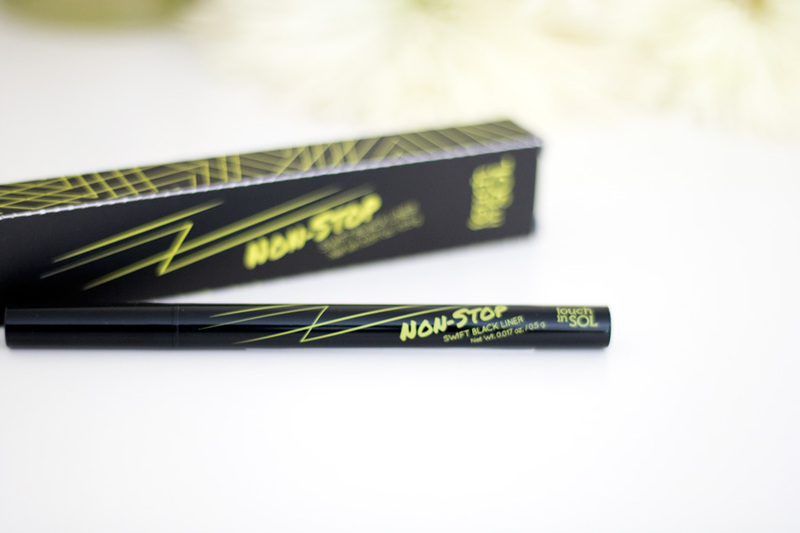 Surprisingly, it works really well and I can get away with skipping my brow powder (which I use along with my fine tip brow liners). 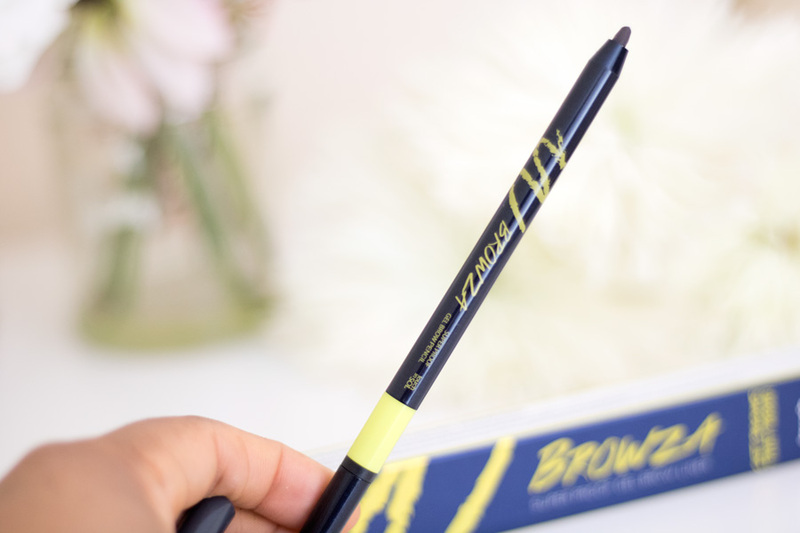 I am really impressed with this brow liner; it does not break off while using it and has lasted me well so far. 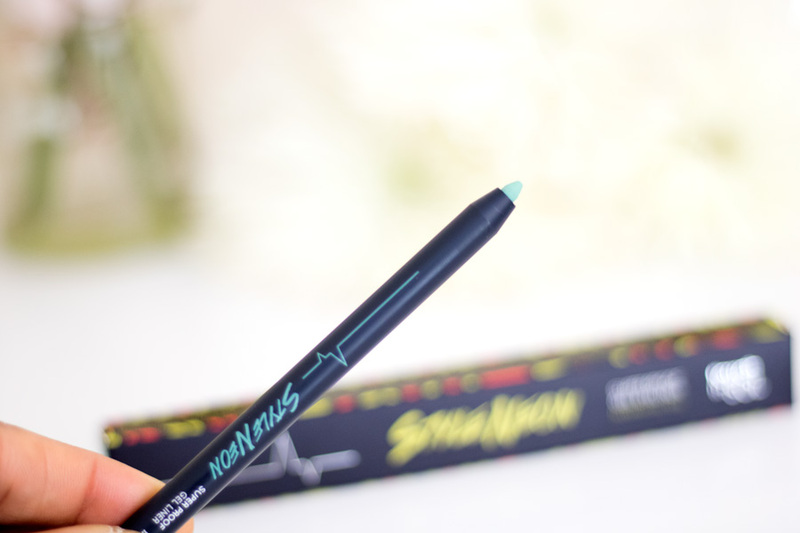 I don't tend to use gel liners because I prefer felt tip eyeliners but I was intrigued by this gel liner. I was a little apprehensive of the colour because it is not one I would pick out for myself. However, I wanted to give it a shot. I love the injection of neon in the design of the packaging. 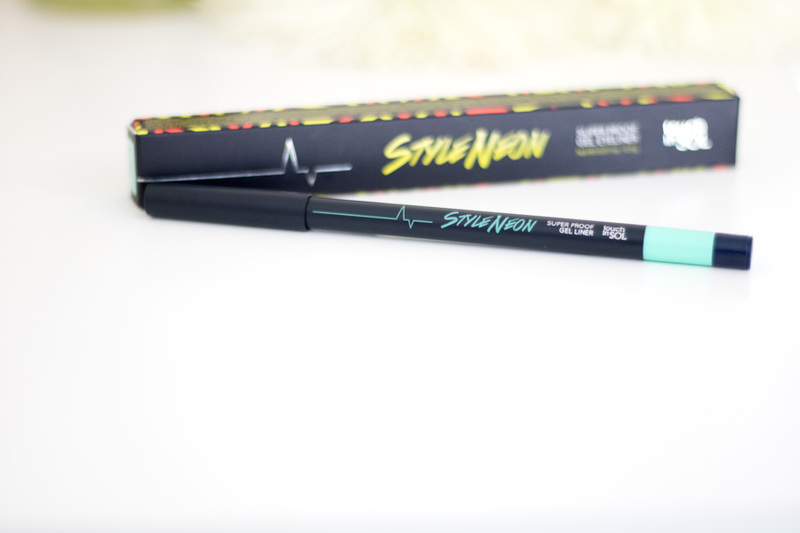 It has a slightly smaller nib than the Gel Brow Liner and it also rolls up and down which is great. 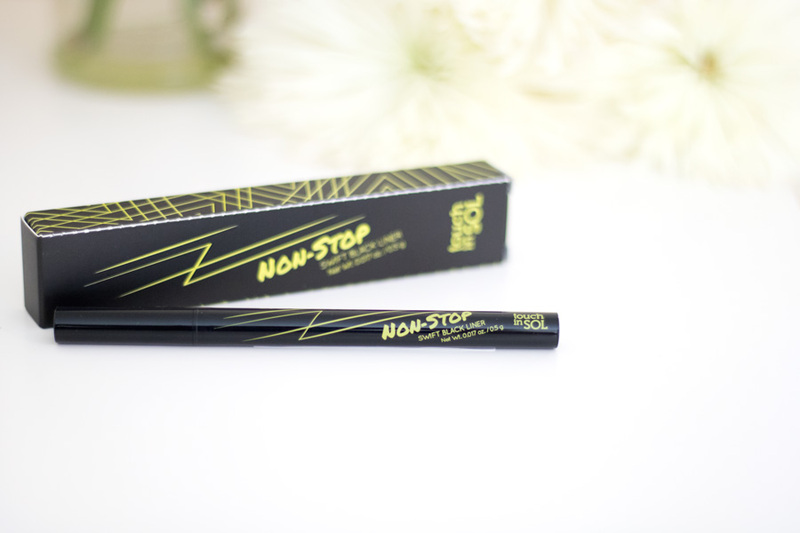 The texture is actually amazing and it glides across my eyelids easily. 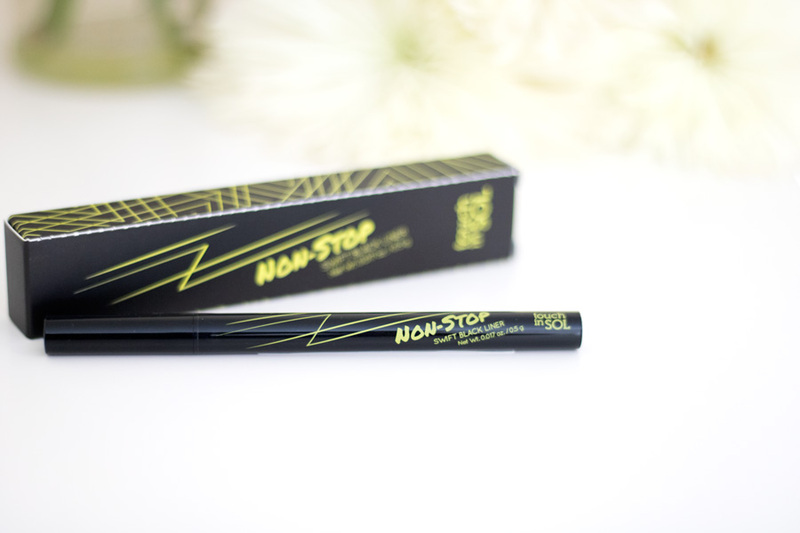 Some gel liners drag across my eyelids and that puts me off but this is really smooth and I love it for that. 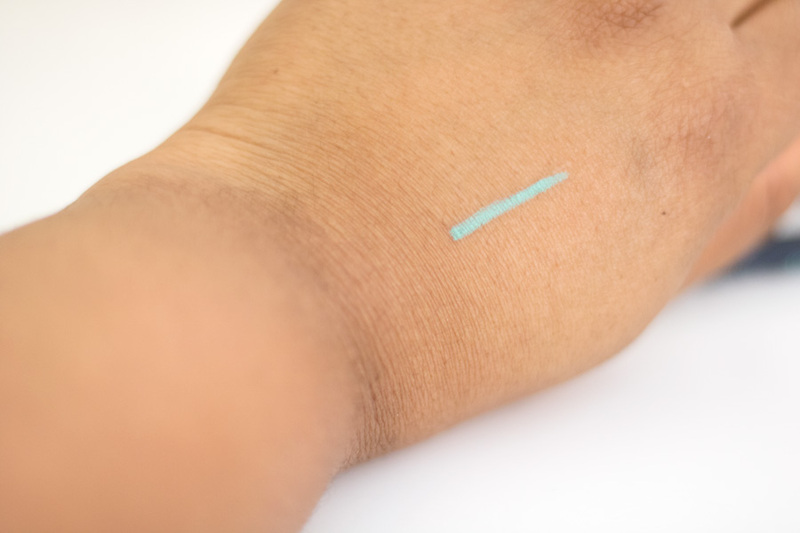 The shade I have is Ecletic Electric which is a nice blue-green shade (almost aquamarine). It is the kind of colour I would wear for videos and for spring/summer. 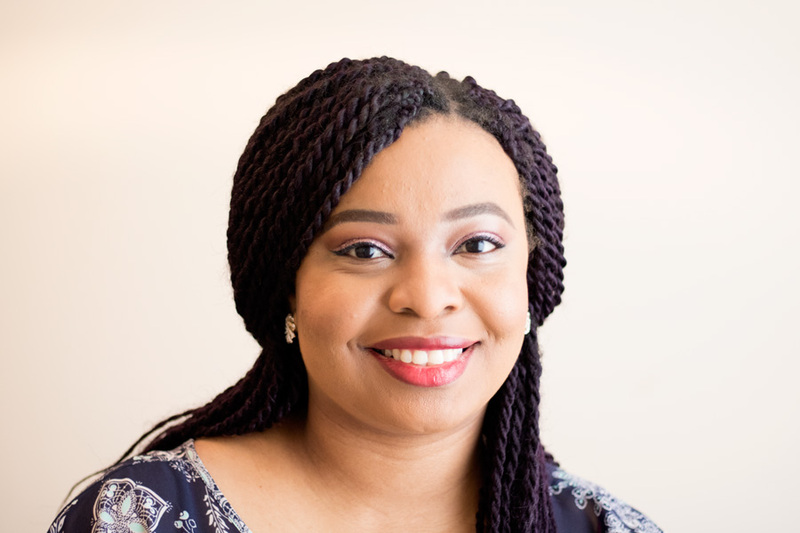 I have not worn it out a lot because it is eye catching and in my profession, I tend to stay with conservative makeup. Nevertheless, if you are creative and love eye catching colours this is worth a try. 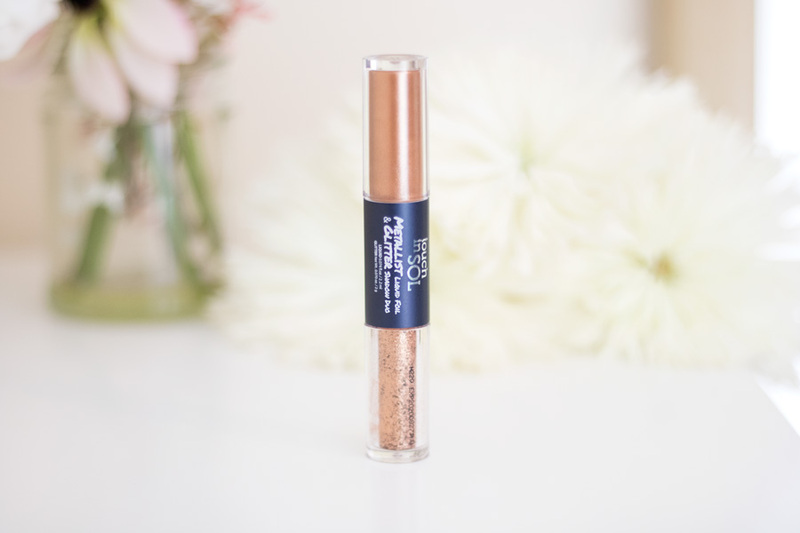 This has to be my favourite product from the entire range!! If you know me well, you'd know I never do my makeup without eyeliners. It just completes my look and my eyes feel naked without eyeliners. 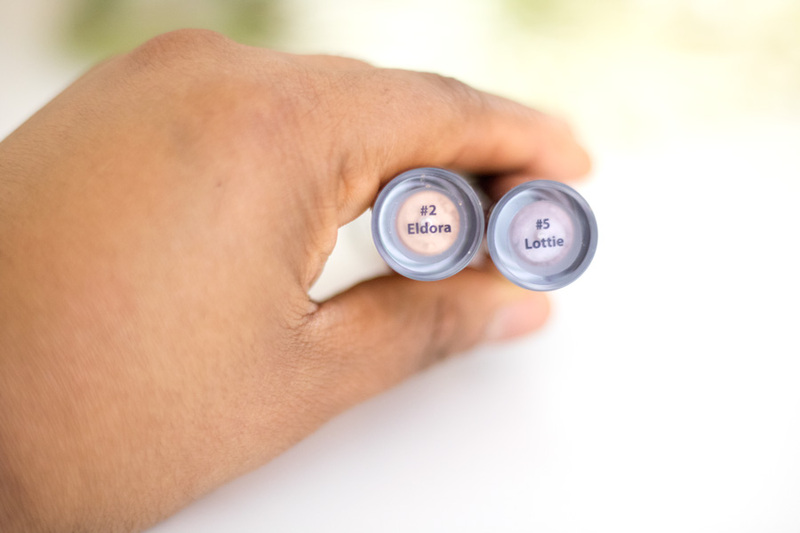 Even if I skip eyeshadows, I won't skip eyeliner (unless I am not wearing makeup at all). 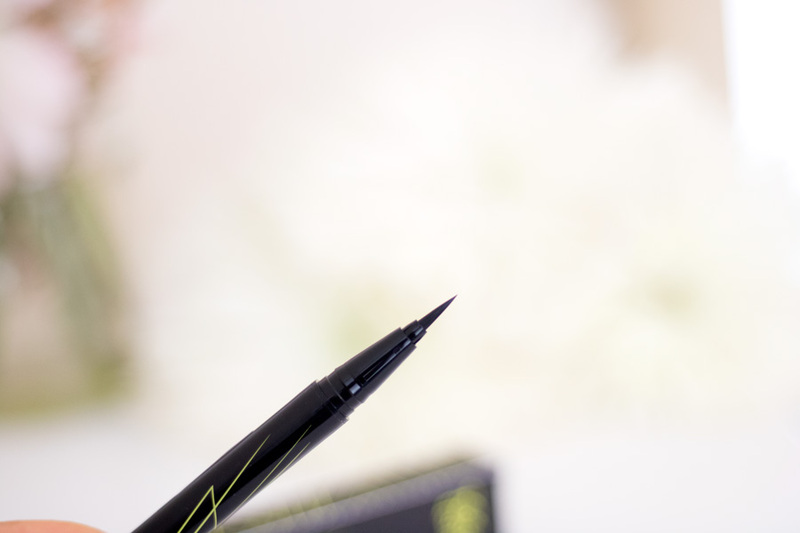 The Non Stop Swift Black Eyeliner ticks all the boxes for me - gorgeous felt tip (very pointy), long lasting and waterproof. I love how well it fits into my hands as it is just the right size so I am able to get into all the corners and create a great flick. I have been using it everyday since I got it and I was surprised by how affordable it is. 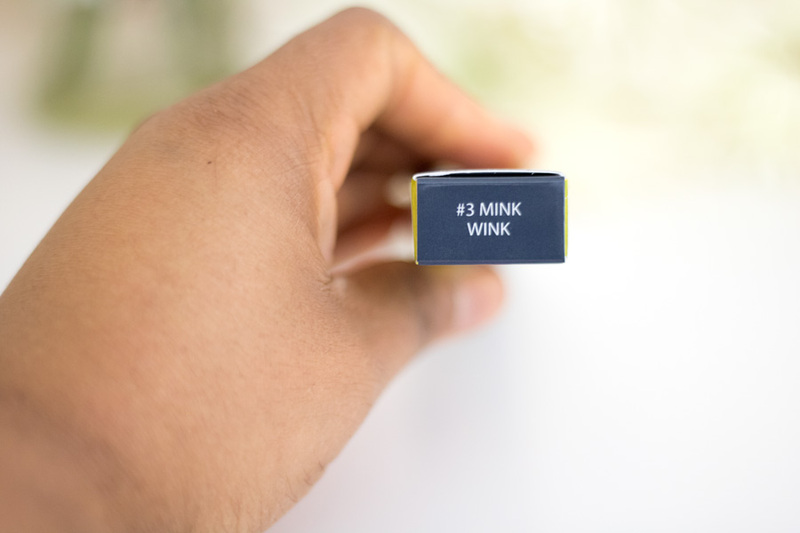 The finish is somewhere between matte and shiny; it's just the right finish I love. You do have to give it a nice shake and you are good to go. 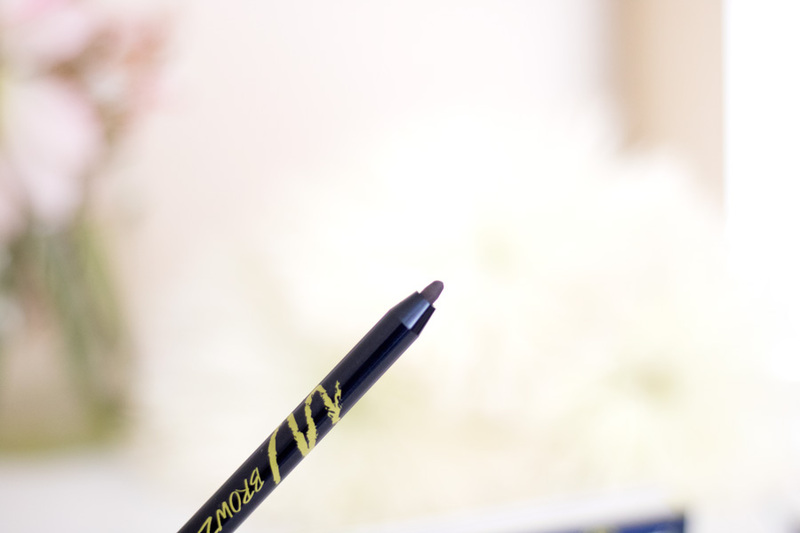 If you love felt tip eyeliners, I will highly recommend checking this out. 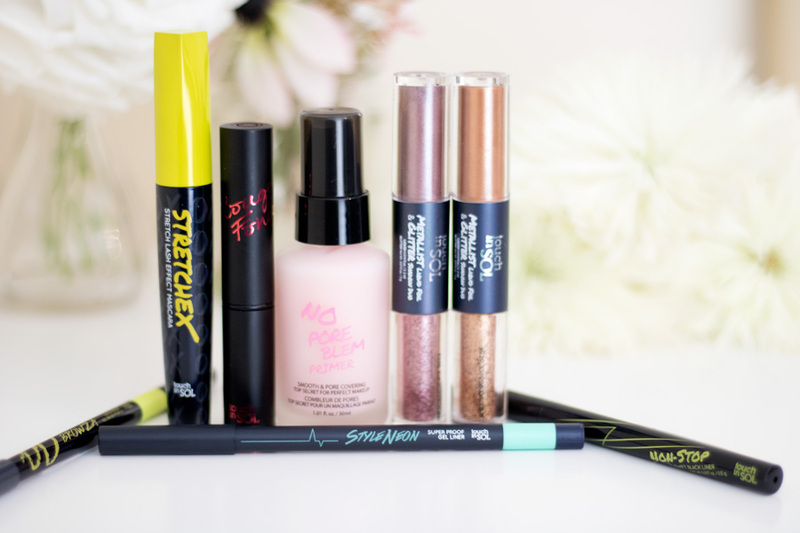 Whenever I have the chance to try out a new mascara, I am excited because I currently have only two mascaras that work for my almost non-existent lashes. 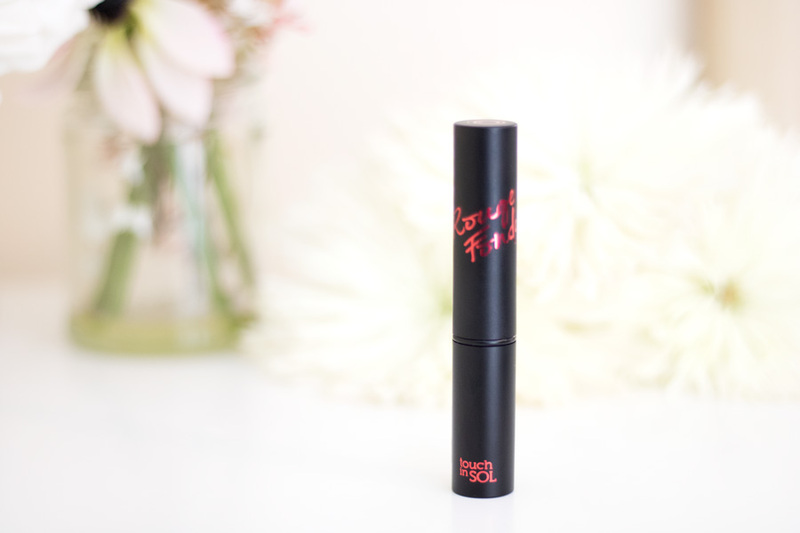 I am sure just like everyone I love mascaras that give my lashes length, volume, hold a curl and separate my lashes. 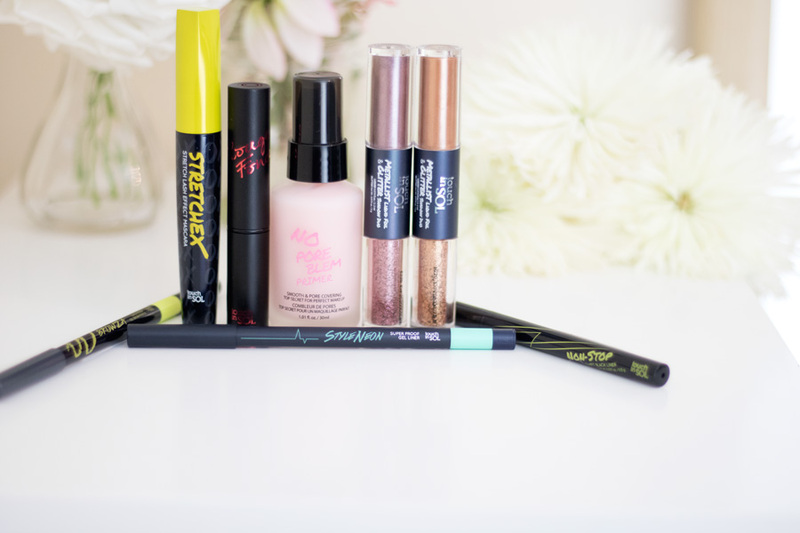 It's not easy finding mascaras that tick all these boxes for me and that's okay because my lashes require extra care. 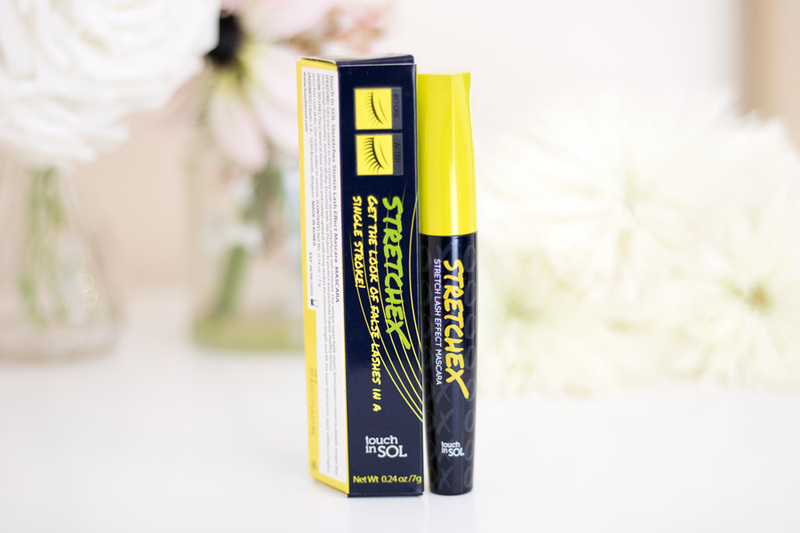 Having said that, the Stretchex Stretch Lash Effect Mascara ticks majority of the boxes. First off, I love the wand/bristles because it is the perfect shape and size I prefer. 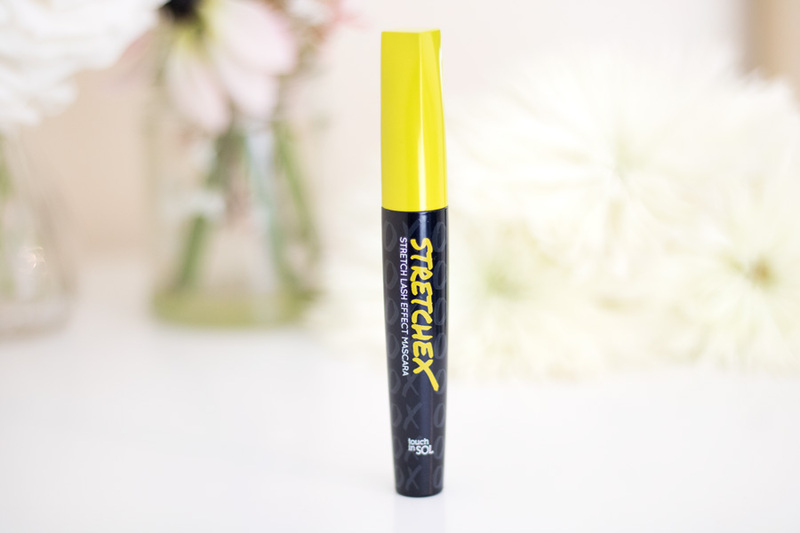 This mascara is great at elongating my lashes (it's not called stretchex for nothing), holds a perfect curl and excellent at separating my lashes. It provides good volume but it is not dramatic and it is perfect for everyday. 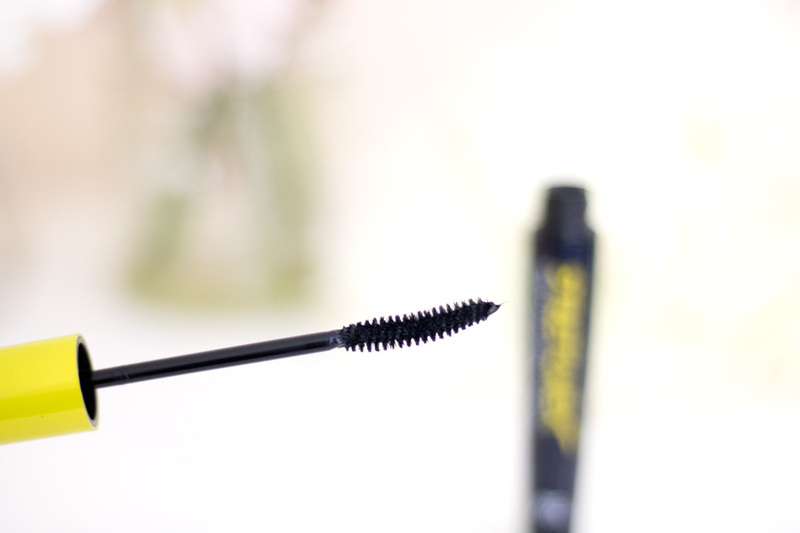 It has made its way to one of my top 5 mascaras and I absolutely love it. 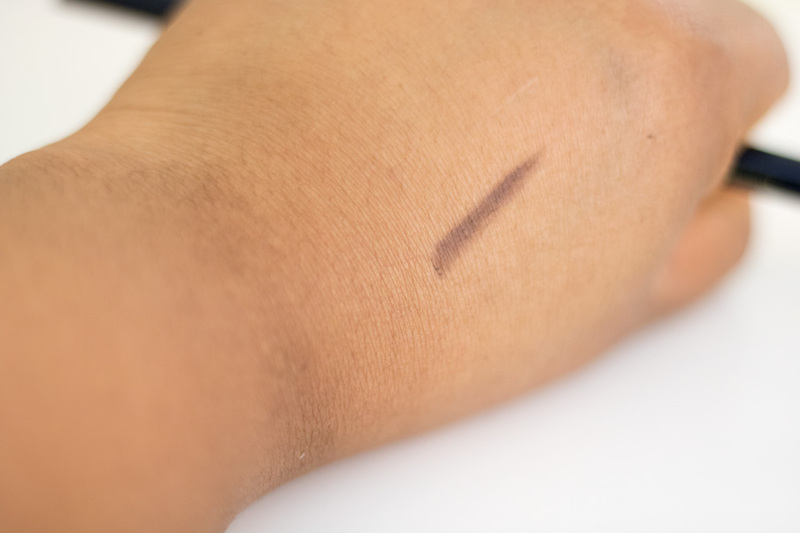 It is non-sticky so it does not get messy during application or through the day. 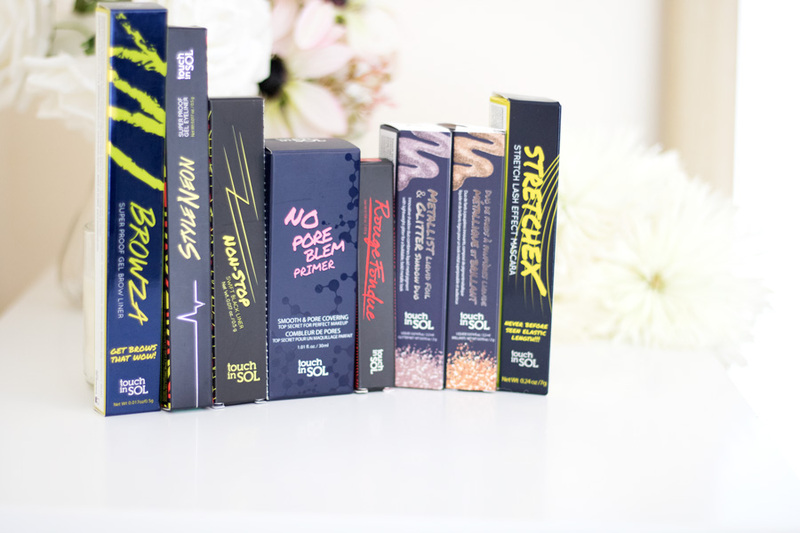 If you are looking for a great everyday mascara, I will definitely recommend checking it out. I just love the name of this lipstick because it reminds me of a delicious fondue that my friend made during Christmas. I believe there are 7 shades and they all look very wearable including this shade Fondue Red. 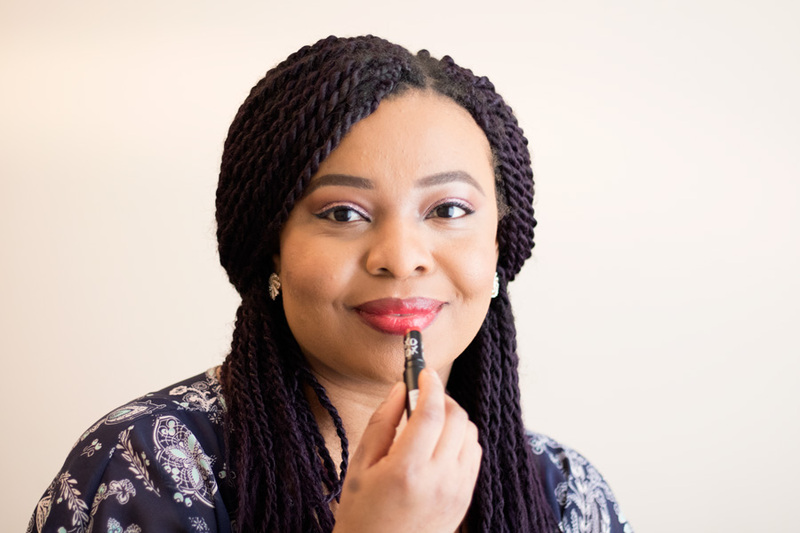 It is a super moisturising lipstick that glides across my lips and very forgiving even on chapped dry lips. It is enriched with shea butter, mango and coconut butter yet it does not feel heavy or greasy. It also does not sink into the lip lines or bleed into the lips. 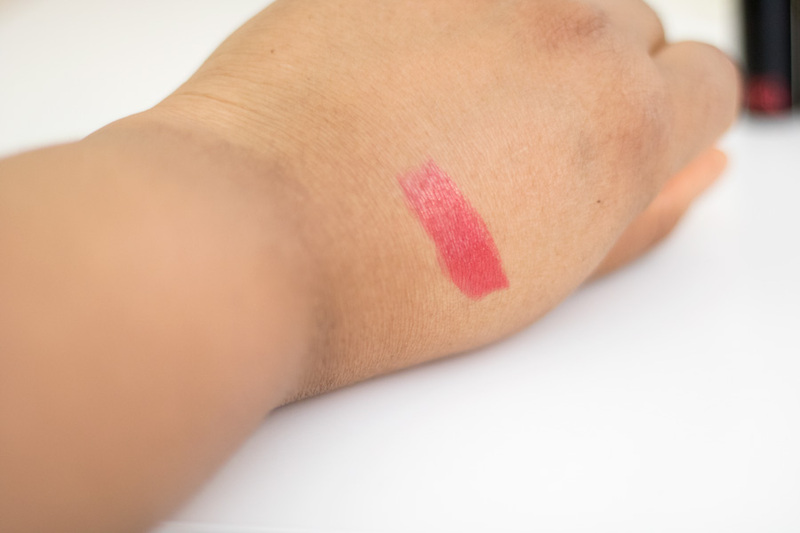 It is not a matte or glossy lipstick; it just sits right in the middle (I would say the texture is similar to MAC Amplified but not exactly the same). 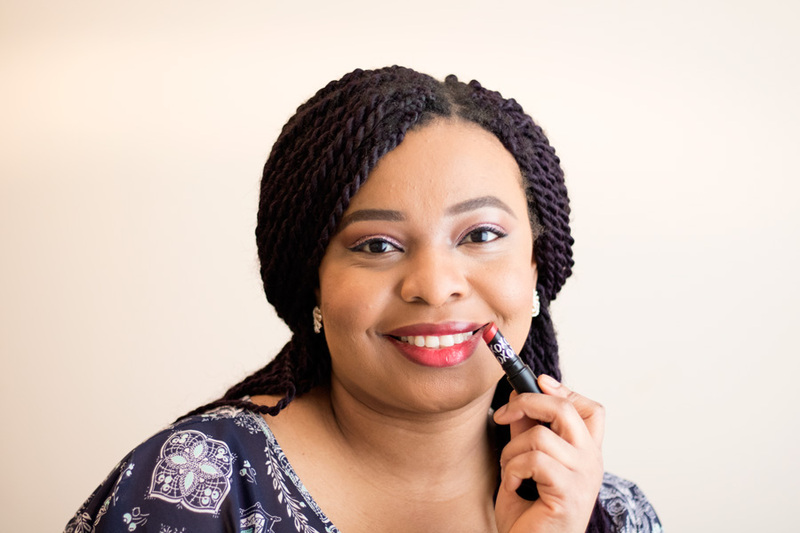 It lasts a good while on the lips considering it is not a matte lipstick however it fades to a more natural tint towards the end of the day which I don't mind at all. I love the wear, the feel and the shades available. I also have to mention that it is one of my favourite lipstick packaging. 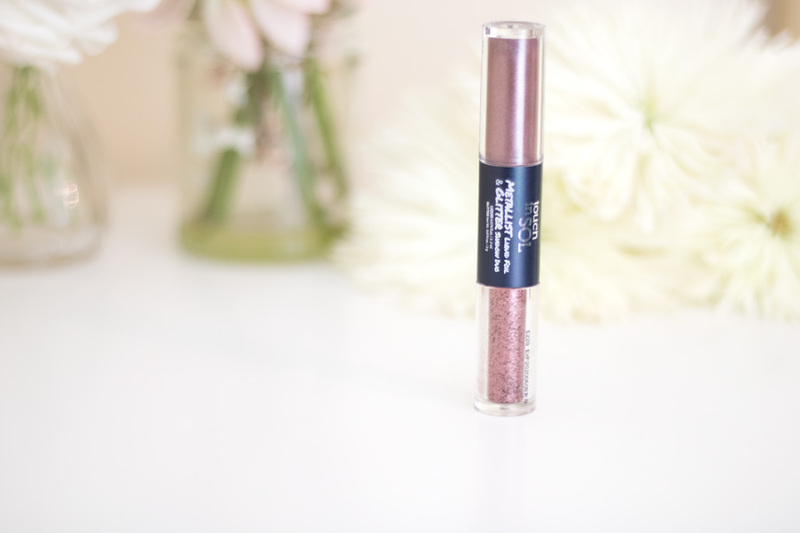 It is slightly longer than the average lipstick out there. I don't think these pictures do it justice at all because the packaging is so pretty and very well made. 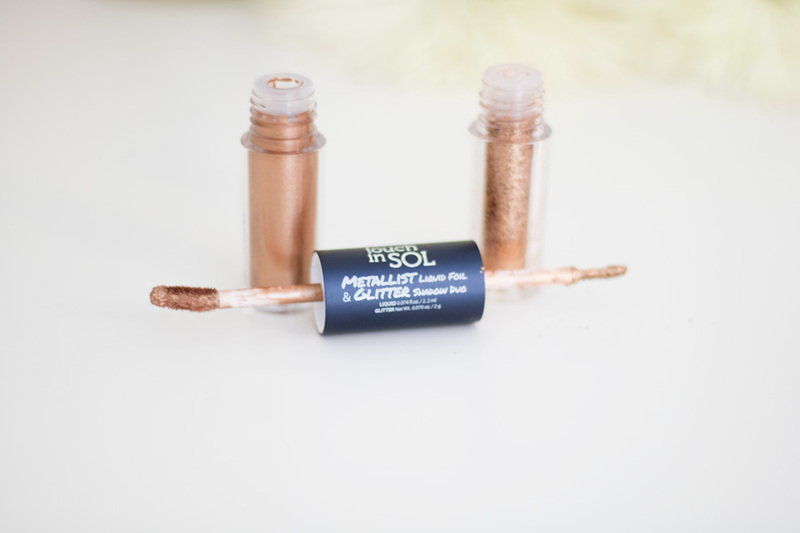 I had to leave the most exciting product to the end- the Metallist Liquid Foil & Glitter Shadow Duo. 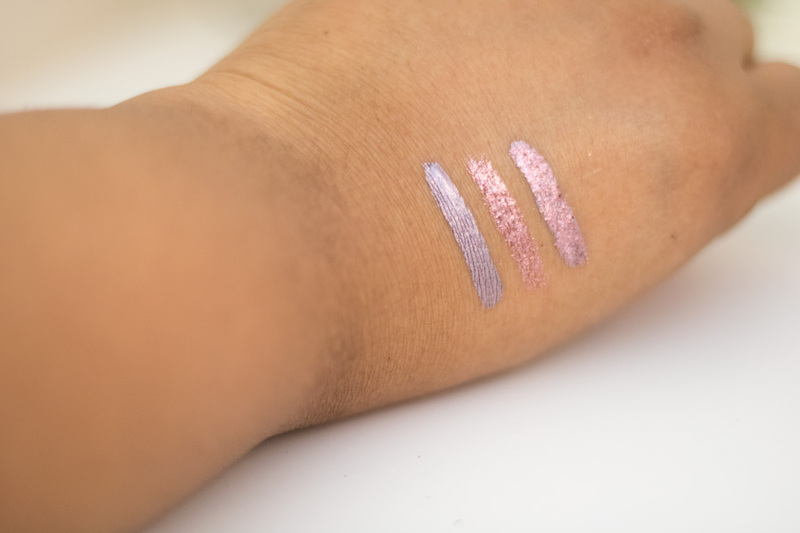 Liquid Eyeshadows (foil and glitter) have become so popular and I am so into them right now. I have tried quite a few and love all the ones I have tried so far. 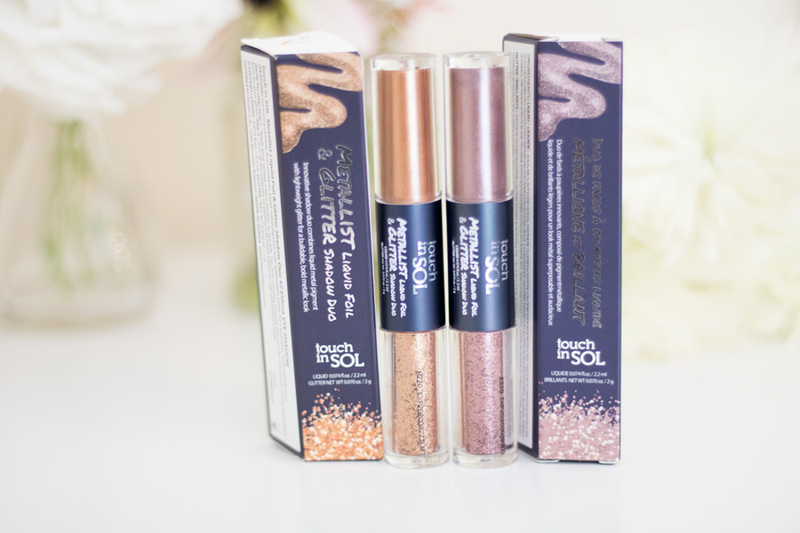 The exciting thing about the Touch in Sol Metallist Liquid Foil & Glitter Shadow Duo is that there are two sections- the liquid foil section and the glitter shadow section. It means you can use them alone or layer them on top of each other. I was very kindly sent two shades- Eldora and Lottie and there are absolutely gorgeous. There are 5 shades in total- Eldora, Talia, Lottie, Margaret and Adelio. I love the shades available and I can imagine that they may expand soon. 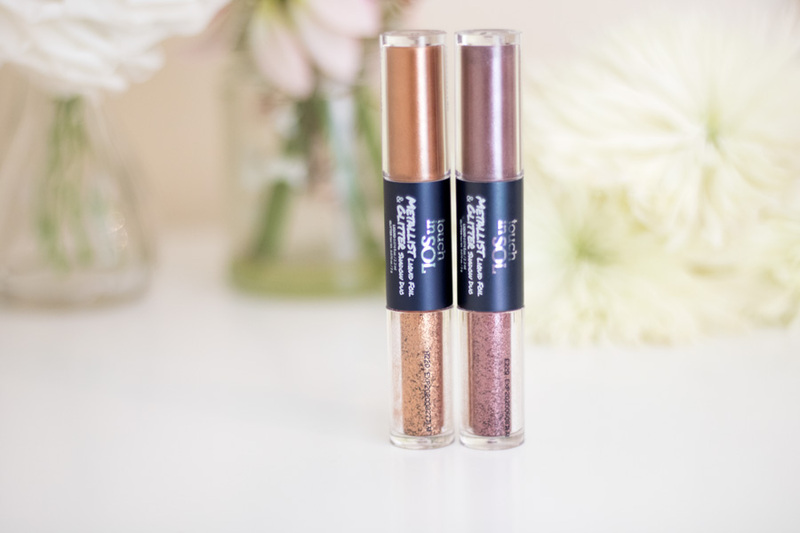 The shade Lottie is more like a dusky mauve shade which always looks flattering on my complexion. Eldora is a gorgeous copper bronze shade and I am obsessed with it. The liquid foil section applies smoothly and one application is enough. 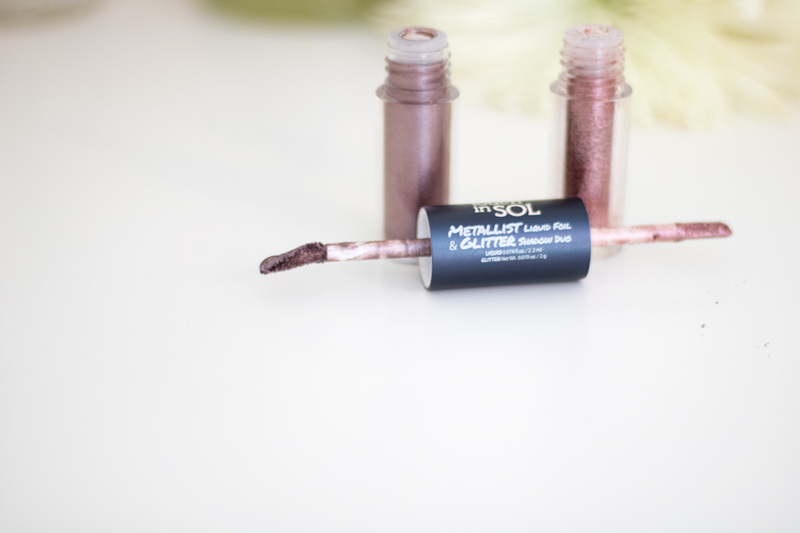 I recently purchased another Metallist Liquid Foil & Glitter Shade (Margaret) because I was impressed with the shades I have (plus it is my Mum's name). I got mine from Cult Beauty because they offer free shipping on any orders over £15 which is reasonable. You can also find Touch in Sol on ASOS and Sephora (which is amazing). 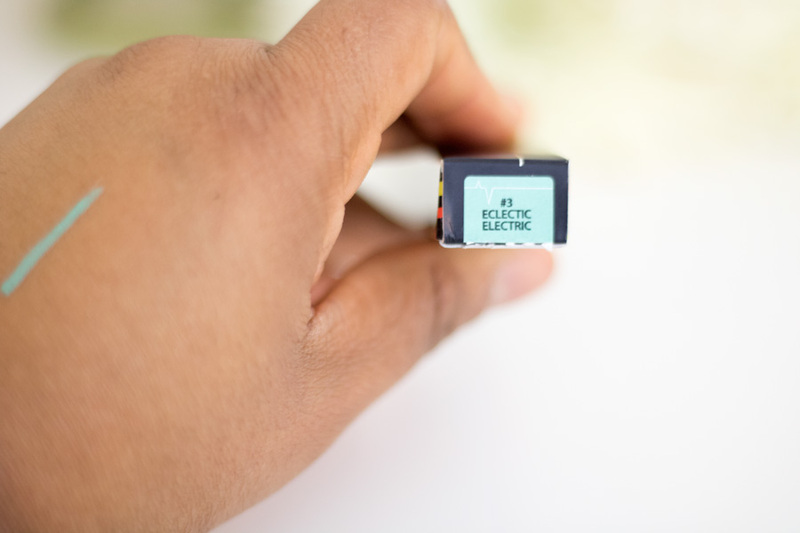 I look forward to them being stocked in other retailers but I think these retailers will meet the needs of almost everyone because they offer worldwide shipping. For my first time of trying out Korean Beauty, I have to say I am impressed. I now look forward to even trying out Korean Beauty skincare which I have heard great things about and it is quite the rave now. I feel that the price is quite affordable for the quality of the products you get and definitely worth investing in. 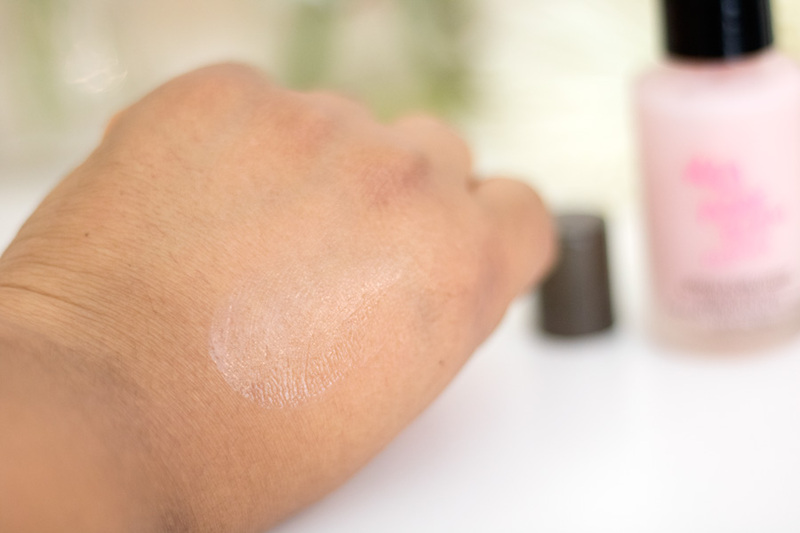 Have you tried Touch in Sol beauty products?